"The Premier Event Specialists With Passion And Fun"
With over 20 years' experience in the entertainments industry we can help make your event an amazing experience. A Class Entertainments pride ourselves in offering the very best in wedding, corporate and social events entertainment. Specialists in co-ordinating and event planning we provide the very best entertainment to suit your requirements. Being direct with our clients we are able to give the very best service to ensure you receive what you want and nothing less. Our motto is 'If you are happy then we are happy'. The reason why A Class Entertainments can hold its head high is because of one simple belief and that is if we can be part of making others smile, then we are doing something right. We have been part of thousands of people's smiles every year as we provide services to clients who know that what they want is something just a little bit more special than before. We are the innovators of the 'Club Experience' - surround experience, 'The Decades Parties' - the best parts of each decade mixed to perfection with the words on big projectors, 'Room in a Room Discos' - where the lights and sound are projected around you, 'FirstSong' - your first song written for you, in front of you - ideal for weddings, company branding etc. and 'PartyStarz' - children's entertainment where you are the starz of the party! Required by many venues, AClassEntertainments.co.uk has a current PLI policy with National Association of Disc Jockeys in the amount of £10 million. Also required by many venues, AClassEntertainments.co.uk has supplied satisfactory evidence of holding current PAT inspections of their equipment dated within the last 12 months. A Method Statement outlining AClassEntertainments.co.uk&apos;s Health & Safety procedure for setting up disco equipment has been provided. AClassEntertainments.co.uk has provided Risk Assessments undertaken at events sourced via needadisco.com, indicating that they can undertake these competently. Why do people choose to book AClassEntertainments.co.uk? His quote came up the most reasonable and sounded very professional. "Our dj for our party was perfect. He was friendly and dealt with all the requests. We had a great night and the music was perfect. Would recommend to my friends. " "Thank you for your kind words. they are appreciated. I also enjoyed it too! Thank you for having me as part of your event. If booked within 6 months we will hold the pricing structure." "DJ Bailey was a gem of a find. If you want a DJ who is going to enjoy the party with you, provide an excellent disco, interact with the crowd and give you helpful suggestions then he's your man. He helped us with our first dance and was entertaining from start to finish. Would highly recommend - 5 star DJ & disco!" "Thank you for your kind words. They are appreciated. Thank you for having me as part of your event. If booked within 6 months we will hold the pricing structure." "A good evening was had by all DJ Baily judged the music well to a mixed aged group. He was attentive to request on the night and included music that he had surveyed from guests before the event. Most people were up and dancing at some time. The disco was a positive contribution to the day. We would definitely recommend him"
"Thank you for your kind words. They are appreciated. It was a great party! Thank you for having me as part of your event. If booked within 6 months we will hold the pricing structure." "Absolutely fabulous! Booked for a reunion event (30yrs) Asked months beforehand for song requests and also provided a link that could be sent to guests...subsequently all the guests favourite songs were played. Happy to take requests on the night too. Cannot recommend him highly enough. Set up was quick and efficient as was packing away. Kept the dancefloor filled and everyone had a brilliant time." "Baily was the DJ at my recent 60th Birthday Party. I couldn’t have asked for anyone better, he kept me fully informed on what was going on during the run up to the event and his texts on the actual day were very reassuring. He played all my requested music and got the party goers fully involved with what was going on in a very professional yet friendly manner. I would have no hesitation in using him again or recommending him to others. Thanks Baily you really made my party go with a swing x"
"We've worked with DJ Baily a few times now and I would highly recommend him as a DJ for any type of musical event." "Thank you for your kind words. It is appreciated"
"Great DJ to work with, thorough and professional and outlines everything you need to know before taking any payment etc." "Thank you for your kind words. If we can be of assistance in the future we offer to hold the pricing structure for you if booked within 6 months of your event even if other mention you and your event as a referrral"
"DJ Bailey was amazing.. he was fanatstic with the children and made my daughter feel so special, definitely would recommend A class entertainments. " "Baily was very accommodating with my original music requests - 70's theme. He also provided visual effects with 70s theme and I have to say that everyone I have spoken to since the event, has complimented the disco on the night of my party. Thank you Baily for a wonderful evening of fab music"
"What can I say, from start to finish the dance floor was full and everyone loved the show put on by DJ Baily. I am over the moon with the quality of the DJ and his equipment and was blown away with just how successful the party was. Everyone who came loved and commented on how brilliant the DJ was and they were all so happy to have their requests played whenever they wanted. Finally the icing on the cake was a special request for a mixup to be done for the first dance which was done to perfection. 10/10 would recommend and hire again, outstanding!." "DJ Baily was Fantastic! From start to finish he gave loads of tips and advice, really good communicator and was amazing at looking after everyone! Will definitely use again." "Perfect disco! Was an amazing afternoon - kids loved it and so did all the adults! Will definately be recommending you!" "I found DJ Bailey excellent. The communication was fantastic, he kept me up to date and even called on the day to check everything was going to plan, all of my songs on the playlist I made was played, my guest songs was also played. DJ also done all the announcements and he worked very hard on the hottest day in the hottest hall!! Will definitely be using this company again. " "Thank you for your kind words. They are appreciated. It was a warm one but grreat fun! Thank you for having me as part of your event. If booked within 6 months we will hold the pricing structure." "Bailey was superb. He was great at getting everyone up and dancing and made the evening an unforgettable experience. Everyone thought he was great. Thank you Bailey for all your efforts in every way. All the best for the future." 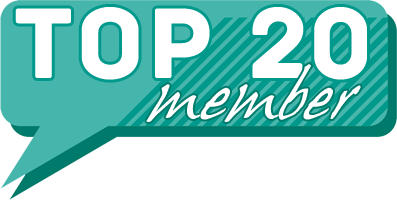 "We found our DJ (DJ Baily) to be extremely helpful and accommodating. He really knew how to get the audience involved and encouraged us to participate in dances (even showing us the moves!) and getting involved himself. He was friendly and took on board all of our comments throughout the event. He made it feel like such a special event, not just to the person who was celebrating her birthday but also to the rest of those attending. We felt the evening was a great success and we had a lot of comments from people as they were leaving about the DJ, saying he was extremely good and some even asked for his contact details. Thank you very much DJ Baily we will definitely call upon you for any future discos." "Thank you for your kind words. It was an absolute pleasure and if you or someone you know recommends us within 6 months of your event we will hold the pricing structure"
"DJ Bailey was excellent, he made the whole event run smoothly and was incredibly friendly and professional. He was a joy to have at my party and my guests loved the music and lighting. Would recommend without a doubt and will definatly be using DJ bailey again!! " "Very good dj our guest really enjoyed it and also did birthday boy "
"it ended up being a quiet night for us with poor ticket sales....the DJ was spot on though and all that attended had a fab night"
"Very good service, great choice of tunes"
"The DJ was extremely helpful and gave us invaluable advice for the evening. He took the trouble to meet with us at the venue well in advance of the day to discuss layout and timings for the evening. He was very accomodating in playing music from the lists that we gave him and he kept the evening going and ensured everybody had a really good time. i have no hesitation in recommending him for any event. " "Fantastic dj, very polite and nice to speak too, will definitely have him again Thank you once again for making my sons and cousins day so special "
"DJ Bailey was great, very approachable, friendly and professional. He let us pick most of our playlist and did requests on the night. His equipment was set up well and in advance of our ceremony and he communicated on the day really well to ensure the speeches went well. Unfortunately the micro phone didn't work that well for the first speech but he rectified this for the others. We had also asked if we could do a 'MR &MRS' game mid disco which he was really helpful with and even found the tv show music! We were very impressed with DJ Bailey! Thank you!" "Thank you for your comments. We do try to advise how to use and position the microphones. If this is followed all works well. It was an absolute pleasure to provide your entertainment and if you or someone you know recommends us within 6 months of your event we will hold the pricing structure"
"Baily was just brilliant! Polite, respectful, helpful, a great DJ... If we ever had another event I would book him immediately. No negative comments to be made, only praise." "Fantastic DJ and disco would highly recommend great service all the guests loved it. " "Bailey made it a perfect night could not have wish for better it was brilliant thank you for putting me in touch with a class entertainment "
"Excellent service from start to finish. Will certainly be using again. Thank you!" "We were let down at short notice and Baillie was able to help us which was great This was only a small party but Baillie ensured we had all our musical requests beforehand with plenty of email/text updates Bailie was quick at setting up and provided a great end to our hen weekend - would definitely recommend an use again"
"Excellent dj, kept me fully up to date with everything. Asked several time during night if everything ok. Would really recommend!" "Dj Bailey was professional, enthusiastic and made our evening perfect! It was my brothers birthday as well as our engagement and he played happy birthday and built it up perfectly :) He was entertaining and made every effort to make our evening enjoyable. We've asked him to do our wedding! :)"
"He was fab! Did exactly what we wanted and more. Really understood working with children, and encouraging them to take part. He was really friendly, the kids and adults thought he was great. We will be booking him again for another party." "Dj Bally - Really Understood the evening and the music required for the different age groups. Music choices were brilliant, and kept all ages happy. excellent communication during the evening ensuring very thing was OK and what was required. Excellent communication during the morning and afternoon on arrival time and requests. I would recommend DJ Bally." "Really helped to make the joint 18th a night to remember!" "Ken was brilliant from start to finish and really read the room well. He took requests from the guests really well and made any impromptu announcements I requested. Big personality and very friendly, was helpful the moment he arrived and helped make the party a success. We've had lots of people commenting on how great the music was so we are thoroughly impressed. The value for money was excellent and we'd happily book him again in a heartbeat." "I would highly recommend DJ Baily. His communication during the booking process was outstanding. He ensured that he had a good understanding of the audience he would be playing to. On the day he arrived on time and was very accommodating. During the event he made sure that the evening had structure and things like cutting the birthday cake weren't missed. His music choices, interaction with the guests and overall professionalism meant the evening went without hitch. Everyone had a fantastic time and all generations were dancing and enjoying themselves. Thank you so much!" "When booking anything that you find on the internet, your always sceptical. AClassEntertainments provided me with a very helpful quote and answered all questions that I had. They helped me with all queries throughout the planning process right up until the date ensuring me that everything was on track and ready to go. We had a disco and karaoke and it was a brilliant night! The dj (Dj Baily) advised us on when to dish out food and the surprise was perfect, he worked with us on everything that we did. The music was brilliant, we provided the types of songs before the event and every song we asked for, he delivered. 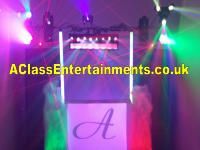 Extremely happy with AClassEntertainments and I;ll be using them for my 21st birthday and will recommend to anyone." "Thank you for your kind words. It was a great event that we enjoyed too." "Excellent disco, correspondence all went smoothly, very accommodating DJ who played all our requests and music was spot on for occasion. Also excellent value for money. Thank you very much for helping make our party a very special night." "Choose this DJ as i received a really competitive quote from him. He made lots of contact with me regarding the booking via email and phone calls but not so that it was too much and felt he would be able to provide a disco of what i wanted. He turned up on the night early and set up and the disco and equipment he had looked really good and music choice was brilliant through the night and also played any requests we made." "Brilliant, enjoyed by all ages." "Very good on the night"
AClassEntertainments.co.uk also offers a range of additional party services not directly linked to musical entertainment. Get FREE no-obligation disco quotes from AClassEntertainments.co.uk and other DJs covering your venue. Take 2 minutes to fill in some basic details and we'll do the rest! If you are contacting AClassEntertainments.co.uk about an event, it's always a good idea to include the DATE, LOCATION, EVENT TYPE, AGE GROUP and TIMINGS to speed things up!